After researching restaurants within the Northwest London area I decided on The Red Turban in Honeypot Lane, for my birthday dinner with 15 friends. The main reason behind deciding on this venue was the great choice of cocktails they have to offer, I am a huge cocktail fan. The booking was made in advance with no hassle and the Red Turban team were great and a pleasure dealing with over the phone. The booking was made for 8pm, some of my quests were already seated at the table and so I joined them. 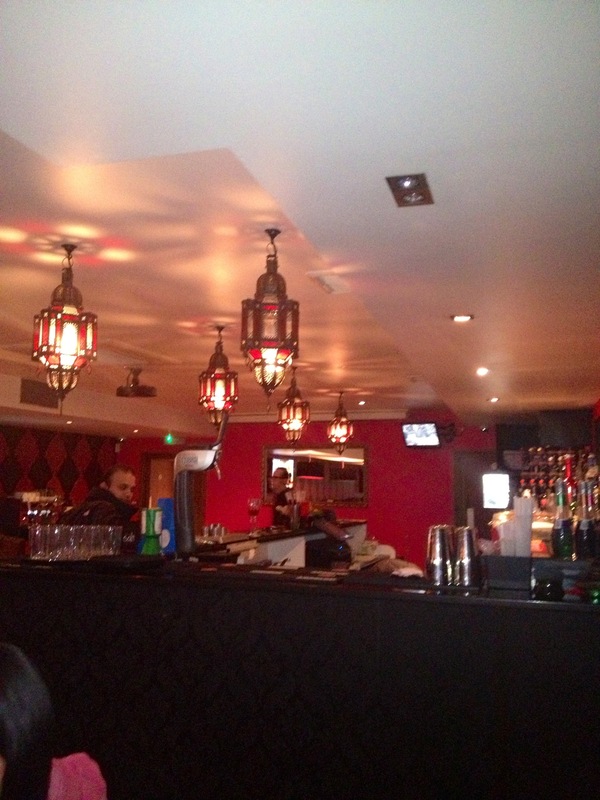 Whist looking around the venue, it was modern, they had Moroccan theme lanterns, red walls, booths and table seating’s, a bar, the lighting was dim and although the restaurant is small, you are not confined. The restaurant was buzzing this Saturday night and all tables were filled, the atmosphere was great. So straight onto the drinks menu (WOO!) 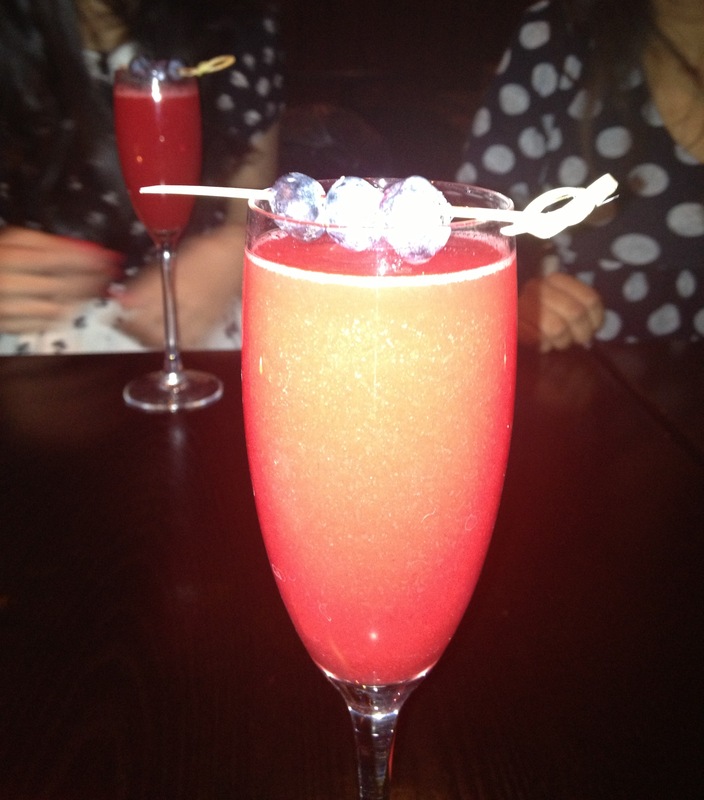 we ordered the Peach and Passion Bellini, these were fresh peach and passion fruits with sparkling wine topped with blueberries, and they were lush. Once we all settled in we had a browse through the food menu, I loved the variety there was a good choice for both vegetarians and non-vegetarians. 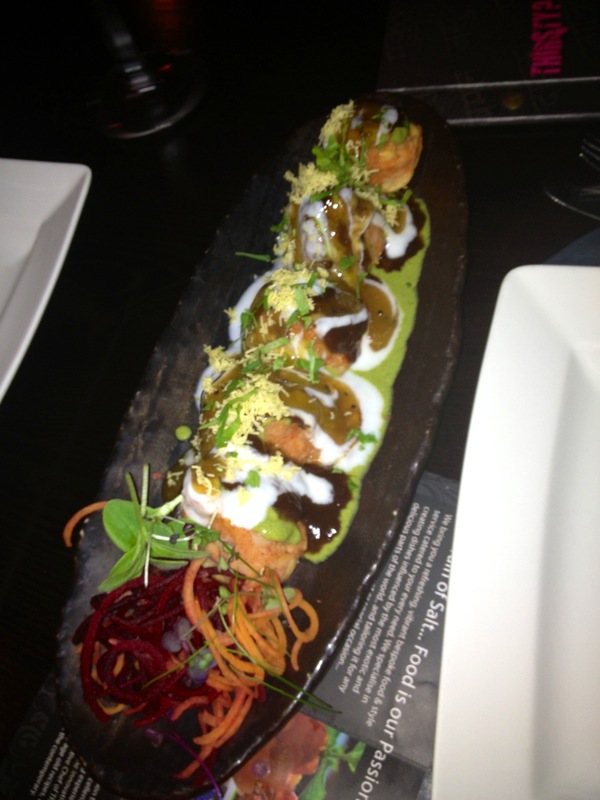 To start with we selected the following: Chowk Ki Tikki (£4.95) these were peas and potato cake balls served with spiced chickpeas and drizzled with tamarind and green chutneys and sweet yoghurt. 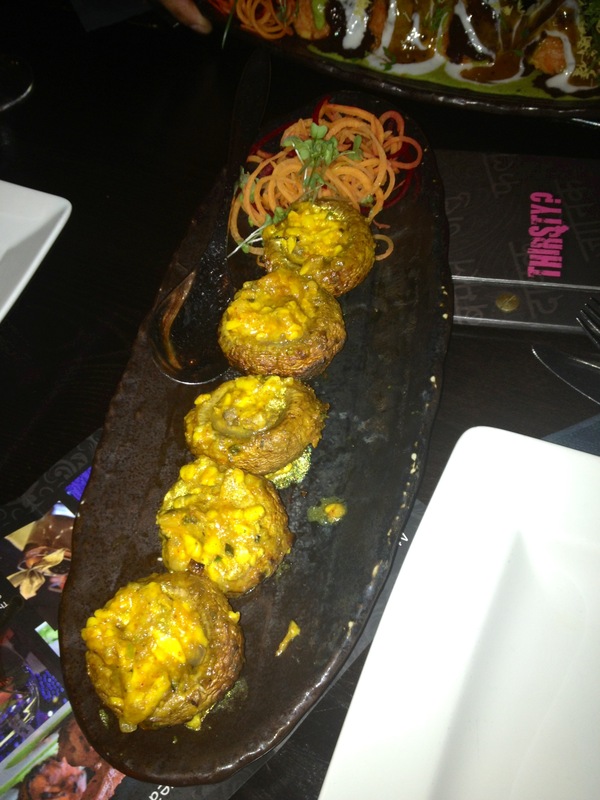 The starters were YUM! 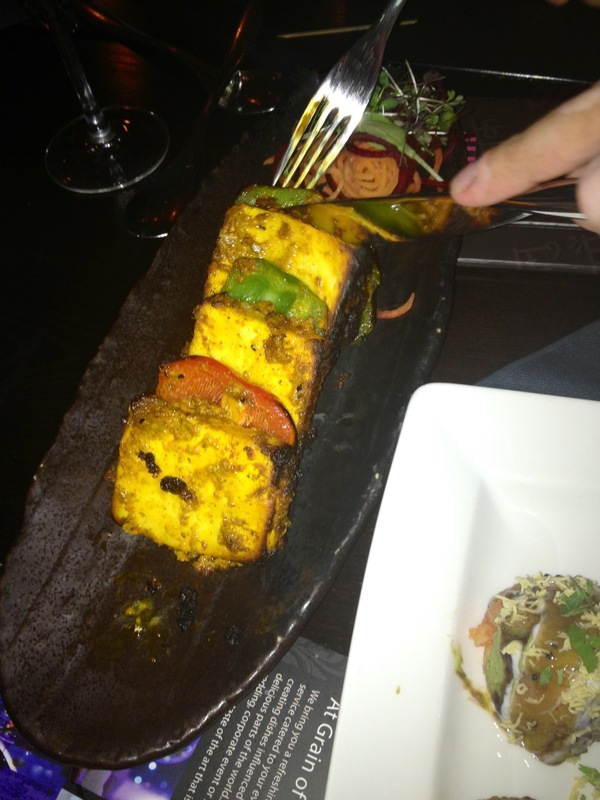 I was impressed, the flavours, the colours, the way the dishes were presented, it was all great. 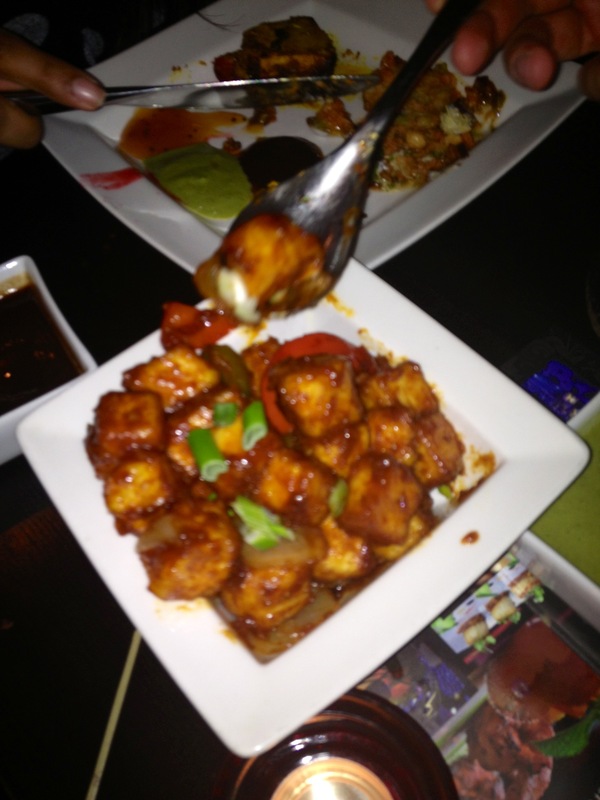 The paneer melted in my mouth, the mushrooms were delicious, and very filling. 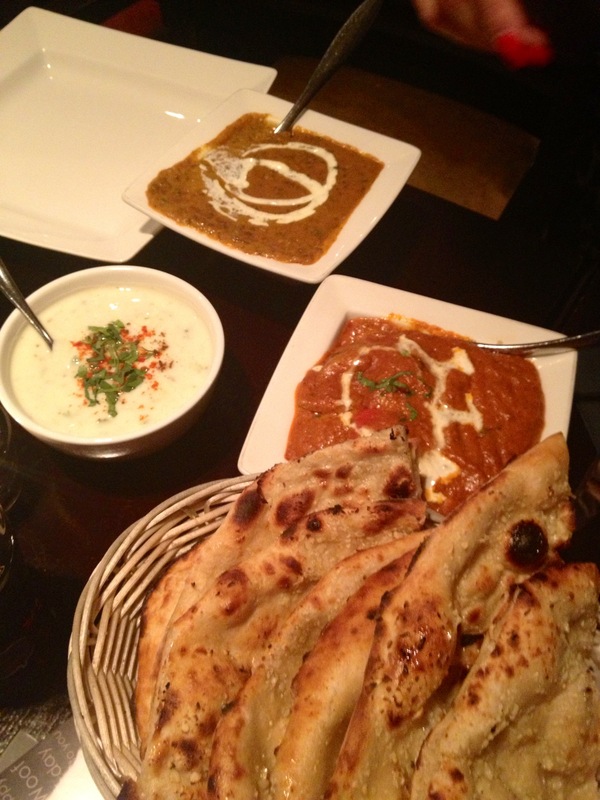 Next stop: the mains, where we selected Shahi Paneer (£7.95) cottage cheese, cream, tomatoes and spices. Daal Makhni (£5.95) urad daal slow with onions, tomatoes and ginger and flavoured with butter and cream. 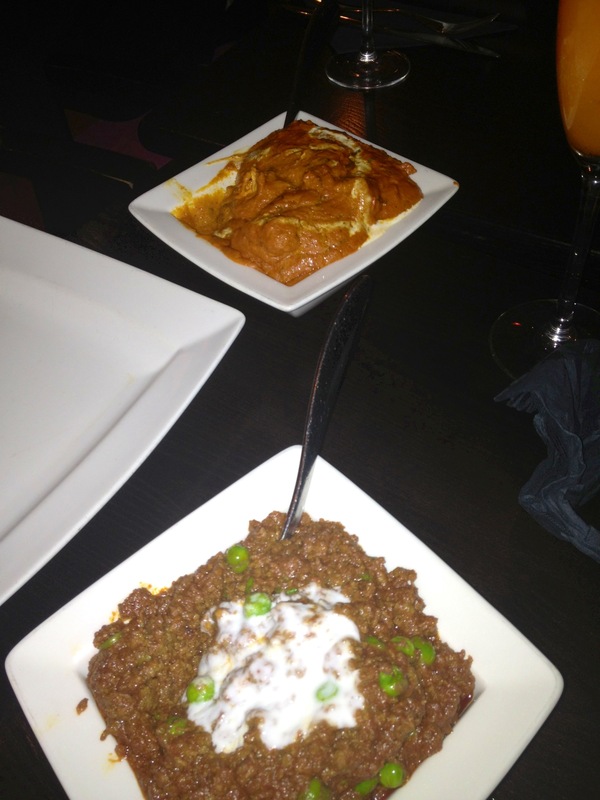 From the non-vegetarian section: Dahi Ka Keema (£7.95) minced lamb cooked with yoghurt and green peas. 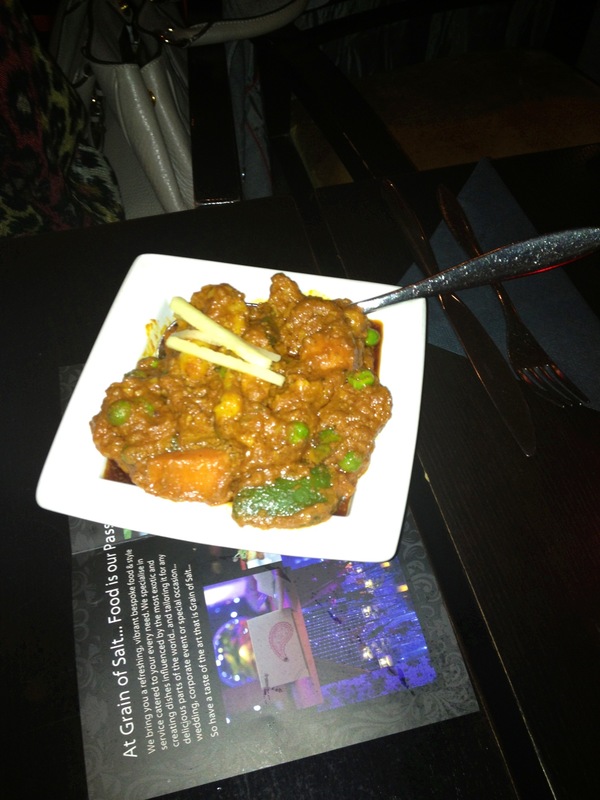 And Makhni Chooze (£8.95) butter chicken, cooked in tomato gravy. All accompanied with plain yoghurt, jeera rice, garlic and butter naans. Again the mains were nice, but unfortunately very spicy for my liking which meant I couldn’t taste the all the flavours in the dishes. Once we finished our mains a surprise birthday treat was given to me with the Bollywood version of Happy Birthday playing in the background, although highly entertaining it was a lovely gesture. The treat was the Gulab Jamun and White Chocolate Terrine served with fresh berries and raspberry coulis from the dessert menu. Overall I had a brilliant evening at The Red Turban, it’s a great restaurant with a modern twist and the food apart from the spicy dishes were great too. 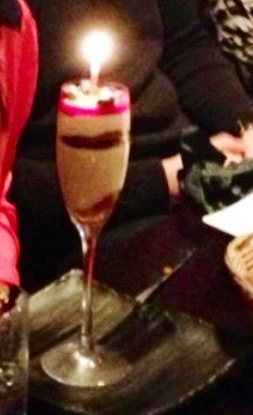 I’ll look forward to visiting again and trying other dishes on the menu and of course the cocktails.